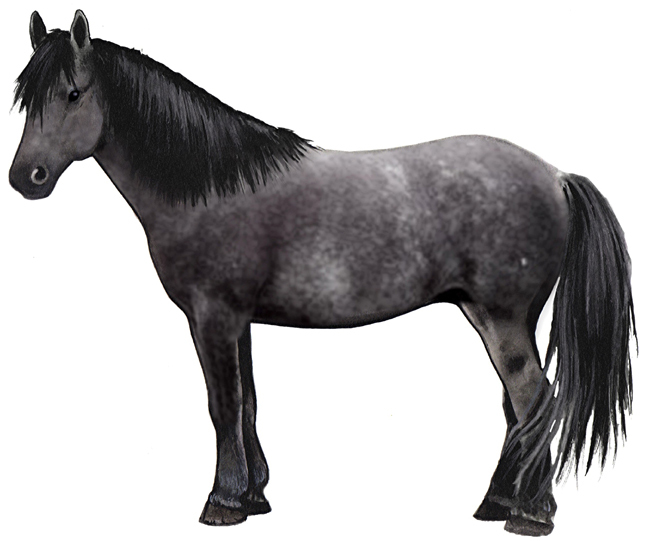 The Nokota horse is a distinct type of horse that once ran wild in the Little Missouri Badlands, located in Southwestern North Dakota. They are believed to descend from ones owned by the famous Indian chief, Sitting Bull. Throughout the early twentieth century, bands of wild horses continued to run throughout the rugged badlands area. Local ranchers often rounded them up, for both sport and profit. Following the drought and depression of the 1930s, federal and state agencies cooperated to eradicate wild horses from western North Dakota. When Theodore Roosevelt National Park was developed during the late 1940s, a few bands of wild horses were inadvertently enclosed within the Park's boundary fence. By 1960, they were the last surviving wild horses in North Dakota. Between 1950 and 1970, the National Park Service attempted to remove all horses from the park. Public opposition to the removal of the horses in and a growing recognition that wild horses had been part of the historical scene during the open range days, led to a change in policy during the 1970s. Since that time, the Park has tolerated a limited number of horses, which are managed as a "historical demonstration herd". At that point, horsemen Leo and Frank Kuntz of Linton, North Dakota, began buying as many of the original Park horses as they could, in order to save them from slaughter. They became convinced that the horses represented a unique and historical type, and they admired their agility and stamina. Researching the origins of the horses, they discovered that Sitting Bull's confiscated Indian ponies had been purchased and range bred by the Marquis de Mores, founder of the town of Medora where the Park headquarters are located. They believe that the Sitting Bull horses contributed to the wild herds that still existed when the Park later enclosed the same range.